According to multiple sources at Sovereign Redeemer Church this past Sunday, a man who didn't raise his hands a single time during the regular time of worship obviously doesn't love Jesus at all. Read to the last sentence. I love Babylon Bee. The field of developmental biology answers the fundamental question of how cells make decisions about what kind of cells they will become. Scientists from the Sloan Kettering Institute studied the mouse endoderm, the germ layer that forms majority of our internal organs. This paper is published in Nature. Using single-cell RNA sequencing (scRNA-seq), where single cells are isolated and the messenger RNAs in them are fully sequenced, scientists could see a snapshot of the actual genes that are turned on during development. Trajectories of endoderm cells were mapped as they acquired embryonic versus extra-embryonic fates, and as they spatially converged within the nascent gut endoderm; revealing them to be globally similar but retaining aspects of their lineage history. They found that cells that come from extra-embryonic tissues and those that come from the embryo are 99% identical regardless of origin, yet there is a set of genes whose activity is different between them. What’s more, the investigators were able to decipher some of the signals that help cells make their earliest fate decision: whether to become part of the embryo or part of the extra-embryonic structures. The team also pinpointed the earliest time when cells with organ-specific endoderm can be identified. It is far earlier than previously believed. The study adds to our current understanding of how cells develop. It shows that certain genes are crucial in determining the fate of a cell. This research inevitably leads to more investigations: how are those genes activated, for instance? How do those genes affect the cells, the organ, and the body, in all stages of development? The answers may be useful to our understanding of developmental biology and, hopefully, of cancer. Nowotschin S, et al. The emergent landscape of the mouse gut endoderm at single-cell resolution. Nature (2019). Link here. 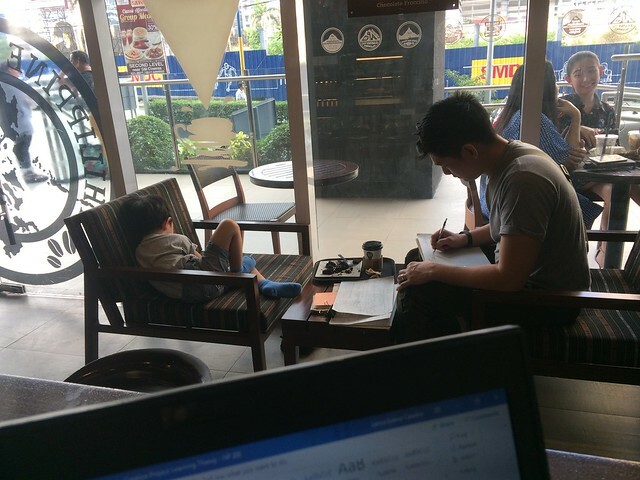 This young father took his son with him to the coffee shop. The son felt quite at home. Puchalski et al (2019) reviewed the scientific literature on spiritual care in oncology. The authors recommend that "all clinicians who develop assessment and treatment plans should assess patients for spiritual or existential distress and for spiritual resources of strength and integrate that assessment into the assessment and treatment or care plan." Another take-home message from the paper is that "clinicians are responsible for attending to the suffering of their patients." This is a tall, albeit reasonable, order. All oncologists and clinicians practicing in oncology settings should be trained in spiritual care. This training should be required as part of continuing education. Clinicians should be trained in spiritual care, commensurate with their scope of practice in regard to the spiritual care model. Healthcare professionals should be trained in doing a spiritual history or screening. Healthcare professionals who are involved in the diagnosis and treatment of clinical problems should be trained in the basics of spiritual distress diagnosis and treatment. As part of cultural competency, all clinicians should have training in spiritual and religious values and beliefs that may influence clinical decision-making. Training should also include opportunities for all members of the clinical teams to reflect on the role of their own spirituality and how it impacts their professional call and their own self-care. Spirituality is "an important component of health and general well-being of patients with cancer, and that spiritual distress has a negative impact on quality of life of patients with cancer. This makes the implementation of spirituality-based interventions essential in order to support the spiritual well-being of patients with cancer. Spirituality and spiritual well-being have been proven to have a positive effect on patients with cancer." I am interested in doing a study on whether Filipino oncologists are able to integrate spirituality into their practice. I wonder if similar studies have been done locally. Given the massive patient load and the myriad physical problems that cancer patients have, it is a challenge for physicians to look beyond the physical aspects of malignancies and view the patient as a person with a body and soul. 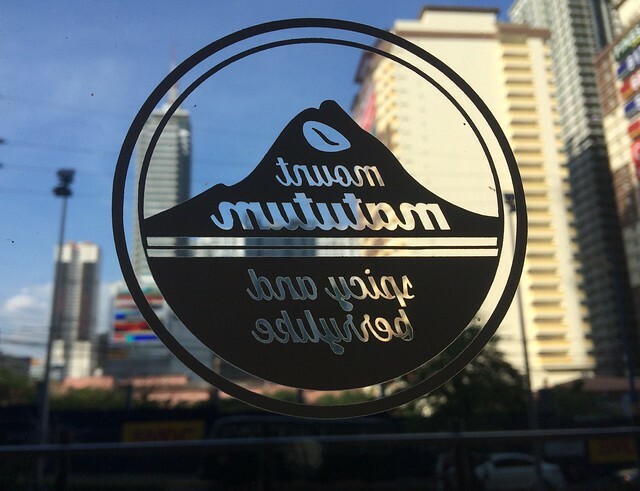 In Mandaluyong, I enjoy the view of Mount Matutum, sans the massive Dole pineapple plantation.